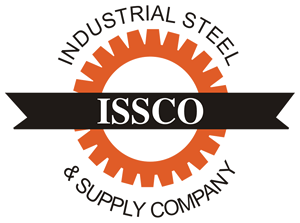 Guide to Selection - Industrial Steel & Supply Co. COLD DRAWN SEAMLESS is made from 1026 (UNS G10260) steel in sizes through 9-1/2″ OD, from .28 max carbon steel in sizes over 9-1/2″ OD. Produced to OD and ID dimensions, except as noted in size listing. Furnished as “as drawn” condition. Cold drawn seamless offers good surface quality and increased mechanical properties over hot finished seamless tubing. Meets ASTM A519. Stocked in lengths of 17 t0 24 feet. HOT FINSIHED SEAMLESS is made from 1026 (UNS G10260) steel. It is lower in cost than cold drawn and most applicable where precise dimensions and surface quality as of secondary importance. As an industry standard. HF seamless is manufactured to OD and wall dimensions. Meets ATSM A519. Stocked in lengths of 17 t0 24 feet. DOM (Drawn-over-mandrel) is cold drawn electric resistance welded tube with all flash removed. Each tube is tested for soundness of weld. Preferred over seamless tubing for its excellent OD & ID concentricity. Normalizing and cold drawing over a mandrel makes DOM a uniform and precision product. Made from 1020 (UNS G10200) steel in walls 10 ga. and lighter; from 1026 (UNS G10260) steel in walls heavier than 10 ga. Furnished in “as drawn” condition. Manufactured to OD and ID dimensions except as noted. Meets ASTM A513 Type 5. Stocked in random lengths of 17 to 24 feet. ELECTRICAL RESISTANCE WELDED is produced from low carbon steel. Tubing with walls heavier than 18 gauge is produced from hot rolled steel; tubing with walls 18 gauge and lighter is produced from cold rolled steel furnished in “as-welded” condition. OD and flash removed on all sizes. For round tubing 1″ OD & larger ID is controlled to .010″ to .015″ (depending on OD). Sizes under 1″ OD and all square and rectangles are flash-in. ERW is the lowest cost of all mechanical tubing manufactured to OD and wall dimensions. Meets ASTM A513 Type 1(HR) or Type 2(CR). Stocked in 20′ random lengths.